View the product presentation now! Agmapure® is new and unique in the nutritional supplement field. It is patented and is regarded as one of the purest forms of agmatine sulphate due to its production through fermentation. 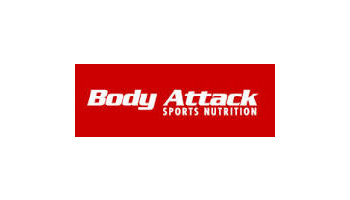 We at Body Attack are sure. With Agmapure® we open up completely new possibilities for our customers on the themes of performance increase and muscle development. Intel has shown the way forward. In the knowledge that it was offering the most superior processor product, the company invented the slogan “Intel Inside” – a marketing tool which was made available to customers to advertise the added value and higher performance of their products. Agmapure® now offers you exactly this opportunity to highlight the superiority of your products: With the label “BOOSTED BY AGMAPURE®” we offer you free of charge a quality signet for your products, packaging or communication media. For the ultimate pump in training Agmapure® is irreplaceable! in the new Body Attack Nitro Pump 2.0. Agmapure® is one of the purest forms of agmatine sulphate, produced in a natural fermentation process that guarantees a particularly pure and high-quality product. Similar products may often contain impurities due to their production in chemical processes. Agmatine sulphate (or agmatine), is contained in many foodstuffs as a natural component; however, in such small amounts that it may be of advantage to add the nutritional supplement of agmatine. It is produced in the metabolic process through the breakdown of the amino acid arginine; accordingly, the effect of arginine is similar, but much superior. 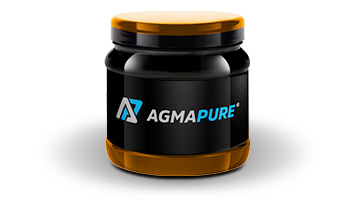 Agmapure® is the new generation of arginine – a high dosage “super-arginine”, which means it can also be applied, among other things, wherever arginine had previously been used. 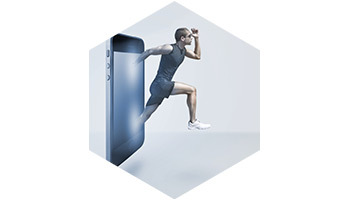 Up to now, I have had a very positive experience with arginine supplements, i.e. I no longer felt so burned out after sport. A good friend informed me about the existence of something better than arginine, namely Agmapure®. I took it daily and feel that it is much better than traditional arginine. I certainly feel fitter and perform better in training. In comparison with arginine the muscle pump effect sets in already after the 2nd set. It is much more intensive and prolonged. I have a generally improved feeling of wellbeing after training (perhaps due to better blood circulation). 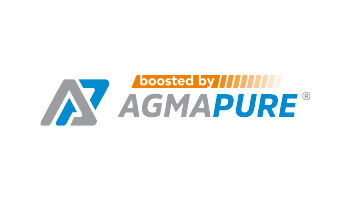 Agmapure® is a product of the BMP Group, an international provider of raw materials from the “health food” trend segment and a subsidiary of BMP Pharma Trading AG, a trading firm for pharmaceutical raw materials which has been operating globally since 1979.